The Ram Classic, shown here, is sold alongside the redesigned pickup. The special edition Classic Warlock is shown below. 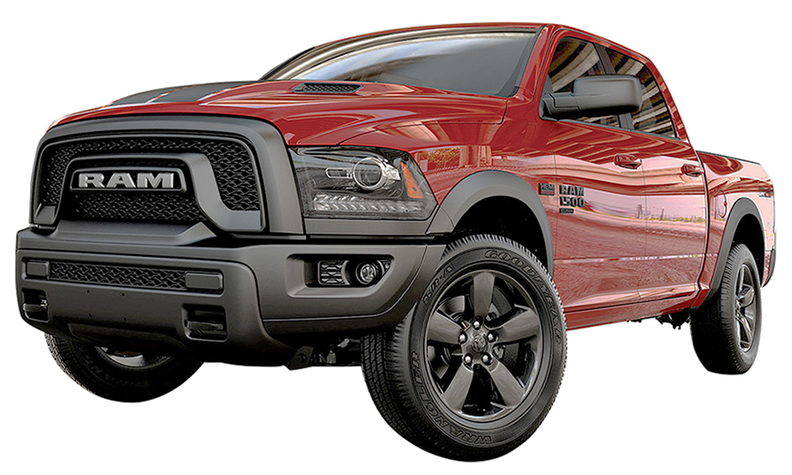 Older than new but newer than used, the 2019 Ram 1500 Classic pickup is proving to be a workhorse on the lot for dealers. The earlier-generation model, which is being sold alongside the redesigned truck, made up nearly a third of Ram's pickup sales in the first quarter, according to J.D. Power. Dealers say that while the Classic lacks some of the bells and whistles of its successor, it retains wide appeal among consumers not ready to absorb the higher payments of the new truck, bargain hunters scooping up generous incentives and commercial clients who need basic work vehicles to beat on. Brand executives haven't said publicly when the Classic's run will end, and it's not clear how much longer Ram can siphon value from the aging Classic before it loses steam. But for now, it's delivering on the promise of Fiat Chrysler Automobiles' two-truck strategy, contributing to a 15 percent increase in Ram's first-quarter pickup sales, enough to push Ram past the Chevrolet Silverado for second place behind Ford's F series. Allyson Harwood, associate editor at Kelley Blue Book, called the strategy a smart way for FCA to appeal to more buyers. "While there are more trim levels and features with the new-for-2019 Ram 1500, the previous- generation Ram has a lot to offer," she said. "For example, buyers who are looking for a regular cab Ram can't currently get a new- for-2019 model with a regular cab, but it's available as a Ram Classic. You also can't get an 8-foot bed at all, unless you opt for the Classic." The only potential drawback, she said, is that Ram may be limiting the amount of production space it has to build the newer models. 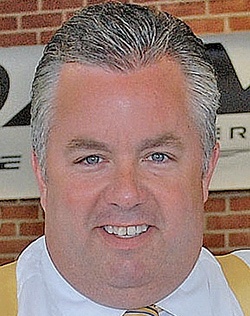 Some dealers predict the Classic will remain a viable option throughout 2019 at least. And Ram, looking to keep things fresh, began deliveries of the special edition Classic Warlock — a factory- customized truck — late in the first quarter. Dealers across the country looking to pad their bottom lines say they appreciate having the old truck around. "In that transition, you might drop to 20 or 18 [a month] because of lack of supply and because of sticker shock," Kelleher told Automotive News. "The customers coming in and buying $350 a month and are suddenly facing $475. You're just going to lose some people." The Classic, he said, "helped us negate that." 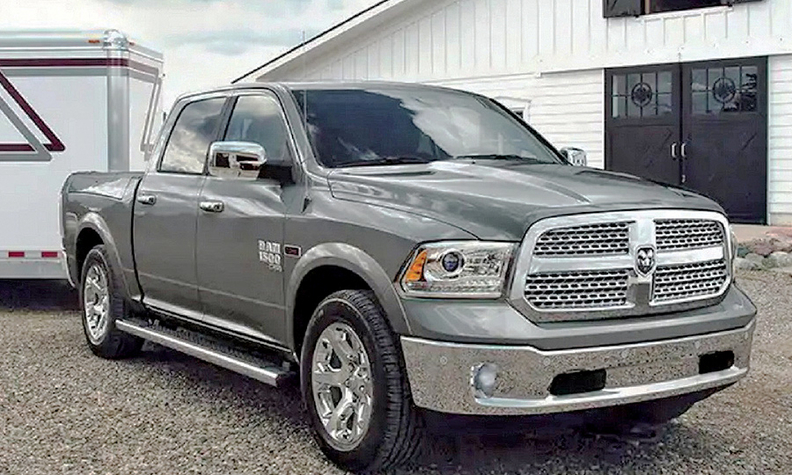 Don Lee, a Ram dealer in Maine, agreed that having the Classic was critical during the launch of the redesigned 1500. "Sooner or later, I think the Classic will lose steam," he said, predicting a tail-off by year end. "Our sales have picked up dramatically with the new design, and they're dropping off on the Classic." 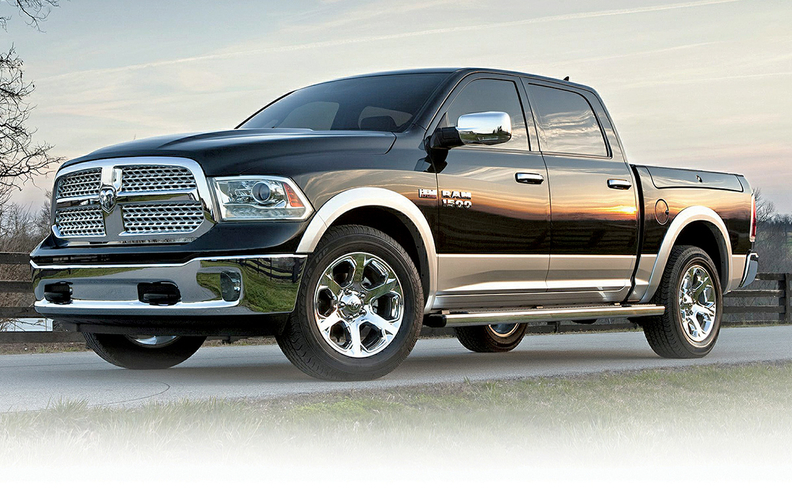 The Ram Classic helps attract buyers who need basic trucks for hauling. Steven Wolf, dealer principal at Helfman Dodge-Chrysler-Jeep-Ram in Houston, said he hasn't been a fan of selling new and old models side by side, but he thinks the strategy has worked in this case because of the holes the Classic can fill. While the redesigned 1500 is busy conquesting Ford owners, Wolf said, the Classic is enticing business customers and fighting at the lower end of the market. A commercial customer might come to buy the "latest and greatest" truck for their personal use, Wolf said, but the Classic comes into play when that entrepreneur needs basic trucks with nice rebates for their company to haul equipment. When the payments rise beyond a certain point, he added, "It's an easy switch to the Classic." "If you come in, and you hit all the bells on a [new] Lone Star, I think you can get around $4,250 in rebates if you're a conquest customer," he said. "On a Classic, it's up to $10,000, just on rebates. That's a significant difference, and it's a $5,000 less expensive truck."